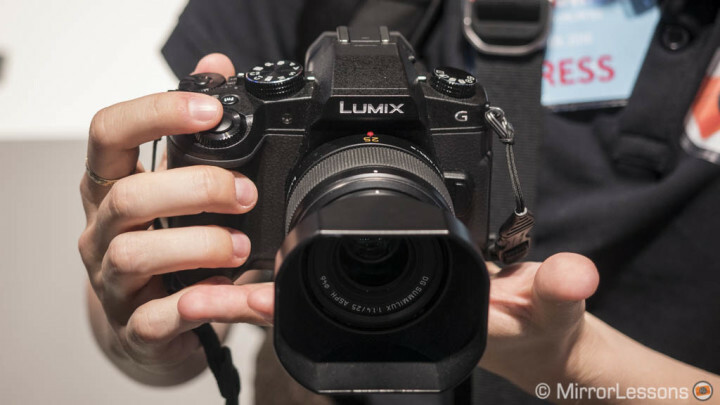 Interview with Mark Baber of Panasonic – GH5, G80, premium compacts and more! You are here: Home / Interviews / Interview with Mark Baber of Panasonic – GH5, G80, premium compacts and more! Between trying out all the new mirrorless products and attending press events at Photokina 2016, we also managed to fit in a couple of interviews. The first was with Mark Baber, Trade Marketing Manager at Panasonic UK. We covered a number of topics, from the pre-announcement of the GH5 and the G80’s updated version of Dual IS to Depth from Defocus technology and the National Trust roadshows being held around the UK. To keep up to date with all the events being held by Panasonic around the UK, you can follow Mark on Twitter! ML: As you can imagine, we have lots of questions about the GH5 but we know that there isn’t any more information available at this time. Why pre-announce the camera with so few specifications? MB: There is always a desire for a product, whether it is the next Sony, Olympus, Fujifilm or Panasonic. If we work it out lifecycle-wise, it’s every two years, certainly if you look at the last products we’ve had and people start guessing at around this time. My opinion would be that if we leave it too late, we might miss out on something. It’s been quite challenging not to tell people about it – it’s a relief in a way! We don’t know the specific date but we’ve told the industry that this game-changing product is coming early next year. ML: Would you say it is still an advantage to announce new products at Photokina? MB: It works both ways. The negative is that a lot of people ask, “Why have you only announced a few things, Panasonic? We want to know more!” but the advantage of doing it on a platform like this is that everyone is watching what’s happening at Photokina and traditionally this is where everyone does announce stuff. 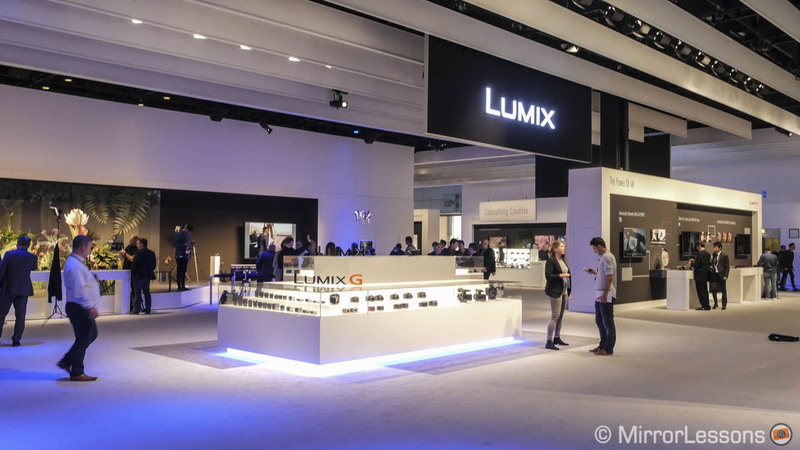 It’s good timing and a good platform because we have the chance to talk to consumers and visitors about everything else to do with Panasonic like the G80, LX15, and FZ2000. ML: The G80 has an updated version of Dual IS. How much more effective is it compared to the previous version? MB: It is much more responsive. You gain an extra stop of compensation [in comparison to the GX80]. I’ve tested it and it’s not just the Dual IS; it’s also the shutter unit. It’s been replaced with a new unit that reduces shutter shock over previous models by 90%. Then there’s also the removal of the low pass filter, so mix that with the shutter unit and Dual IS – obviously with a lens that supports Dual IS – and it’s really made a difference, especially with the battery grip. ML: Will the GX85 be able to receive a firmware update or is it more of a hardware improvement? MB: I think it’s more of a hardware thing. The engineers probably tweaked something to make it more responsive. However, I can’t confirm if it is electronic or mechanical. We’ve not been told so I would class that as a “no” for now. ML: We were hoping to see an upgrade to the LX100. Is Panasonic working on it? 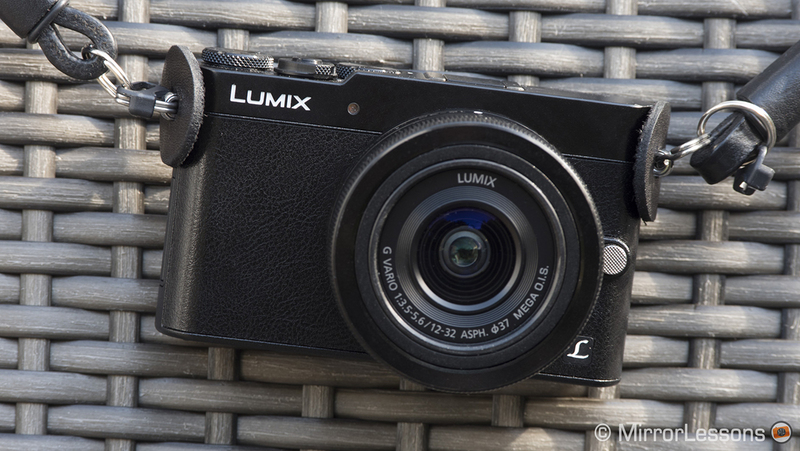 MB: The LX15 has come to replace the LX7, so the LX100 is still continuing. If you’re a consumer, you can get it for silly money considering it’s a camera of that quality. I understand that it will continue but I don’t know for how long. Right now the LX15 is our focus and it will sit alongside the LX100 but it is something slightly more geared toward the previous versions. 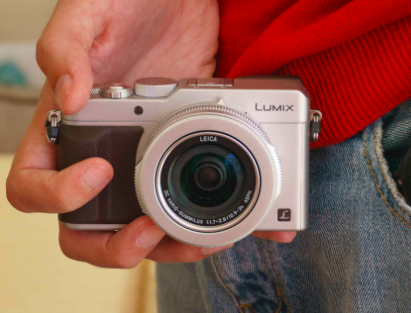 The LX100 was that step-up, moving towards the G series with its 4/3 sensor, retro design, and analog controls. So it sits quite uniquely on its own right now. ML: Panasonic insists on DfD technology. While it is very fast in many situations, it also has some limits. Why doesn’t Panasonic consider a hybrid system (phase detection)? MB: Panasonic’s engineers are very keen on continuing to push the boundaries of what we’ve got. As far as I’m aware, there is no plan to change our roadmap with focus. I think we’d have to completely change the whole concept of the camera to do that. Maybe that will come in the future but for the foreseeable future, we’ll try to make DFD more responsive and accurate. ML: There has been talk about the GM and GF line being shut down. 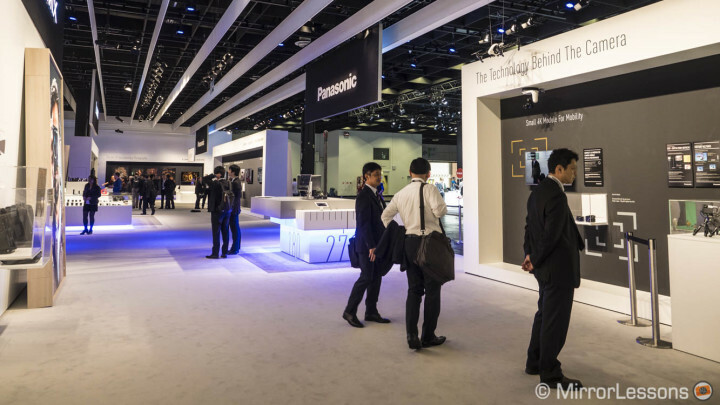 Is Panasonic re-thinking its camera line-up strategy and if so, why? MB: This is an interesting question because when we were setting up the booth, there were some GM1s and GM5s out. My German colleagues have told me there are still a lot in the system in Germany and it’s still a popular model, but in the UK, there’s only one retailer that has a small amount of stock left. There aren’t any orders coming in and there aren’t any plans as far as I’m aware for that to change. 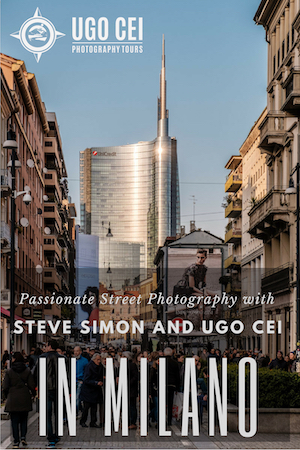 It’s a shame because I love that camera – I always have it on me and I think the concept’s brilliant. As far as I’m aware, the GF7 is still in our range but the GM1 and GM5 have come out. ML: What has the most successful Panasonic micro four thirds camera been to date in terms of sales? MB: I’ve worked for Panasonic for 7 years and I can only speak for the UK market based on launches. 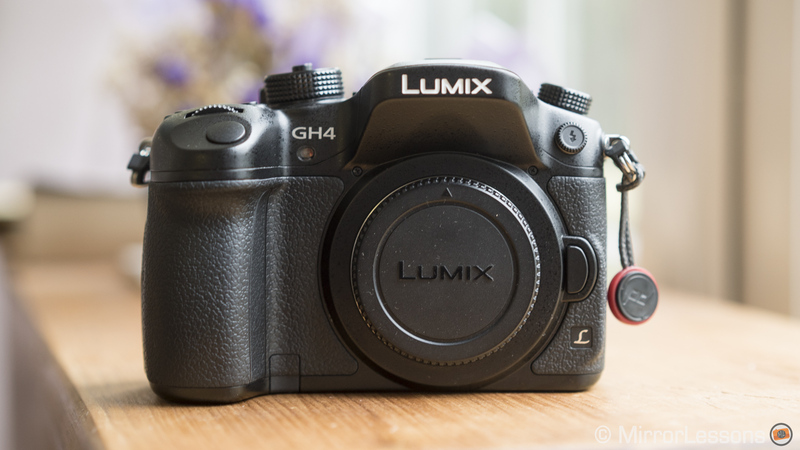 One of the best launches we’ve ever had was the GH4. One of the best launches to date was the G80 – it’s been fantastic – and that was a lot of work from the marketing team, PR, product managers, myself at trade shows and events, so it’s a real team effort. Pre-orders are good and we’re only a few days in but the hardest part is keeping that alive now. So we’ve got some workshops arranged at retailers, and Damien Demoulder’s workshops will add to that. There’s one retailer that had something like 70% of initial first sales with the GH4 in its first week, which is impressive, and we don’t normally see that every time a camera comes out. 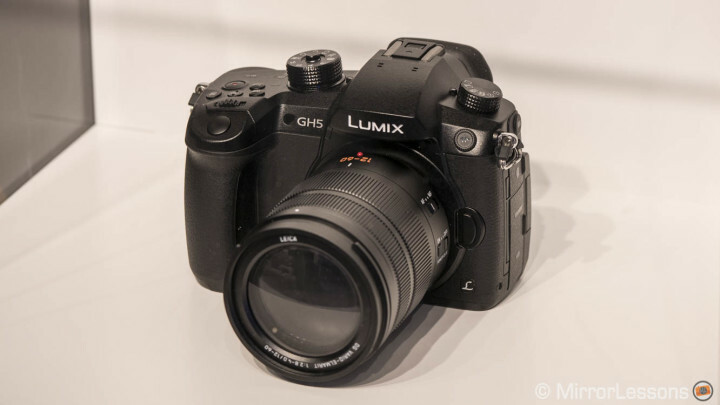 The GX7 was also very popular, and the GH3. Fingers crossed the GH5 will have a good launch! 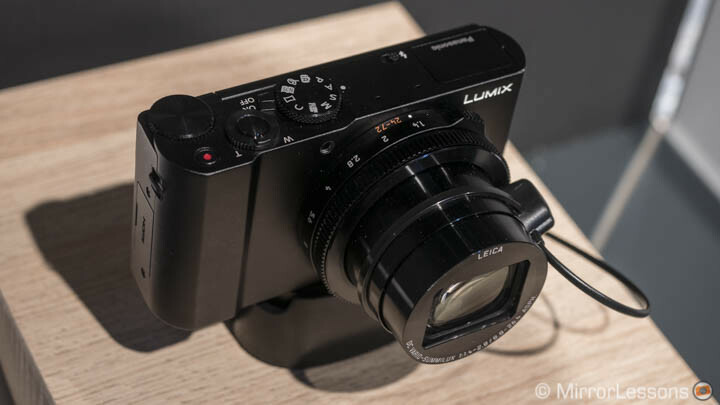 ML: Panasonic has announced two new 1-inch compact cameras. Is the market increasing for this specific segment? MB: Yes, there’s definitely a shift toward more premium compacts. Of course, picture quality is one of the biggest factors when purchasing a product at that price point. I think you’re going to see larger sensor technology from more manufacturers with larger pixels, more light, bright lenses, higher ISO performance, faster shutter speeds and premium build quality. The success of the TZ range over the last 15 years has been a real legacy for us, and it’s difficult to continue to do that because every other manufacturer is trying to make something just as a good. Compacts have also become more streamlined and the gap between high-end compacts and premium compacts is reducing. ML: Panasonic has a new way of naming cameras based on the continent where it is sold. Why such a decision? MB: It’s to easily distinguish which model is in which country. From a warranty perspective, it reduces the customer service issues if somebody’s got something from the US in the UK for example. It lets us provide better customer service to our customers. ML: How was the National Trust event this year? Will it continue in 2017? MB: Our partnership with the National Trust is in its last year next year, and it’s lasted three years. It’s been many years in the making and there’s a big similarity in values, ethics, and sustainability. I don’t know if it will continue but I hope it does because I think it sends a very strong message. With regards to the National Trust roadshows, the first year we did it, it was more of an experiment but the concept and template works brilliantly. There’s a desire from both parties to continue and we’ve now had a year to look back and say “this worked well, this didn’t work well.” Having an ambassador that owns the whole roadshow is really key, and Esther Ling was a brilliant choice for that. She’s done a remarkable job, her work is incredible and she has a real ability to talk with people, engage and influence. Like anything, we have to show a return on investment, so we’re working with Jessops and they’re actually supporting us with their academy team, attending every roadshow. Plus when you loan a camera at the roadshow, we’re offering a business card to say thank you and it entitles you to a discount at Jessops. The roadshows are actually more about bringing the products to life in the hands of people who didn’t know that we sell cameras. It’s so powerful and it’s turned into this really desirable event that the National Trust has advertised really well. The desire to do it next year is still there, and we’ll try to do it in areas where we haven’t gone before. I’ll be having a debrief with National Trust in November/December. ML: Thank you for your time, Mark!